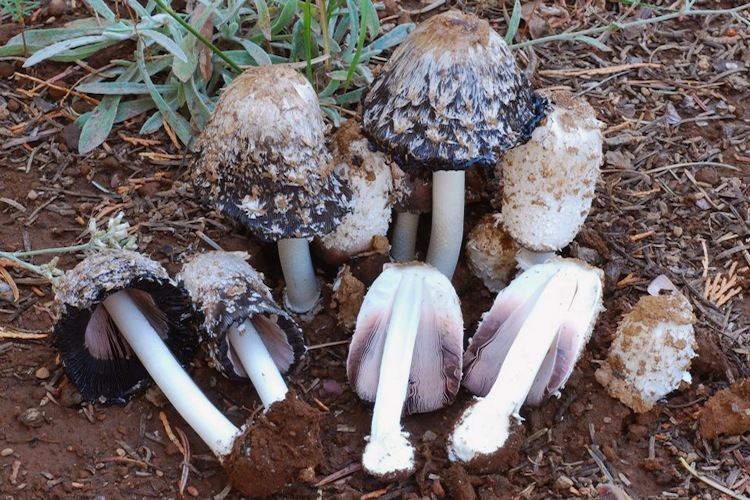 Coprinus used to be a rather diverse genus, but after the work of Redhead et al. (2001), very few species remain in the genus (and only one in our area). The medium-large cylindrical, deliquescent fruitbodies with a persistent, moveable annulus are immediately recognizable. Saprobic, occurring almost anywhere from deserts to gardens, urban parks, to trails through the woods. Disturbance seems to be the only uniting factor in this species's habitat preferences, consequently frequently found along roads and trails. Important identification characters are straightforward in our area since there is only one species: the shape, color, and structure are distinctive.